We’re thrilled to announce the winners of the 2016 Pinch Literary Awards. We had an unprecedented number of entries presenting our judges with a challenging decision. Thank you to all who entered and congratulations to our winners! Scroll down to read their work. We’re thrilled to announce the winners of the 2014 Pinch Literary Awards in poetry, fiction, and creative nonfiction. We’re always amazed by the quality (and sheer number) of entries in each category, and this year was no exception. As in previous contests, we were also lucky enough to have three stellar authors as our guest judges: George Singleton, Adam Clay, and Lee Martin. Below you’ll find the full list of winning pieces, as well as additional information about these talented authors. First-place winners will appear in the Spring 2015 issue of The Pinch. Others may also appear in the journal (or as web features available early online). Stay tuned to see. Congratulations to our winners, and a huge thanks to all of the writers who submitted! Mark Wagenaar is the 2013 winner of the James Wright Poetry Prize, the Yellowwood Poetry Prize, and the Poetry International Prize. He is the 2014 Summer Poet in Residence at the University of Mississippi, and the author of Voodoo Inverso, the 2012 Pollak Prize Winner. Recent publications or acceptances include The New Yorker, Shenandoah, Missouri Review, and Washington Square. He and his wife, poet Chelsea Wagenaar, are doctoral fellows at the University of North Texas. Emily Ruth Verona received her Bachelor of Arts in Creative Writing and Cinema Studies from The State University of New York at Purchase. Her work has been featured in Read. Learn. Write., Fifty Word Stories, The Toast, and Popmatters. She lives in New Jersey. 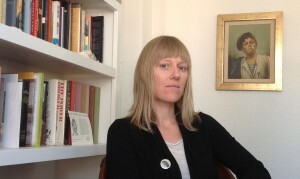 Sarah Viren is a writer and translator whose work has appeared in Fourth Genre, Diagram, the Massachusetts Review, and Wag’s Revue, among others. She is the managing editor of Autumn Hill Books, a translation press, and lives in West Texas with her dog, baby, and wife. She is currently at work on an essay collection about murder stories.